The year 2019 is already a major one for movies. Not only will it feature the conclusion of the ambitious (and bizarrely controversial) new Star Wars trilogy, it will also bring Jordan Peele's follow-up to Get Out, gave the world the first Marvel film focused squarely on a female hero, and a new Quentin Tarantino picture. Perhaps most importantly, we'll finally get to see what Pikachu is like as a detective. Here, we've rounded up 31 movies set for release in 2019 that are already on our radar -- and since it's never too early to start speculating, we've already begun our 2020 Oscar watch. Why we're excited: For a long time we didn't know much about Us other than it's Jordan Peele's follow-up to Get Out and that it has an amazing cast, including Lupita Nyong'o, Elisabeth Moss, and Winston Duke. 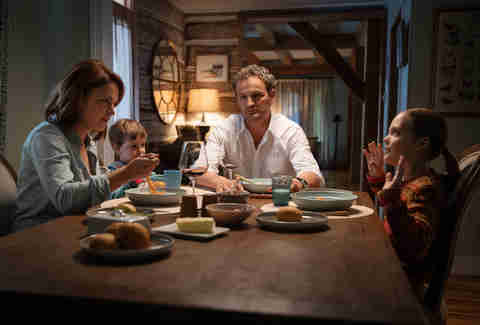 The trailer, released on Christmas Day 2018, revealed that the movie concerns a family of four -- headed up by Nyong'o and Duke -- who find a threatening group of dopplegängers wielding scissors in their driveway while on vacation. These, according to Peele, are The Tethered. They are scary as hell. Why we're excited: Spring Breakers director Harmony Korine returns to the fucked-up world of Florida for The Beach Bum, which stars Matthew McConaughey in the role he was born to play: A stoner poet named Moondog. Given the weed-heavy content, it's only appropriate that another canine-named star is in the supporting cast: Snoop Dogg, of course. Meanwhile, Zac Efron rocks some interesting sideburns in what's sure to be one of the most meme'd movies of 2019. Why we're excited: Tim Burton, whose movies are known for being devastatingly tender and charming as well as edgy and weird-looking, is taking on what is perhaps Disney's saddest movie ever in what looks like a glittery, adorable circus-set extravaganza. At least little Dumbo looks way better in the trailer than he does in maquette form. Why we're excited: Following the monster success of It in 2016, it was inevitable that a new wave of Stephen King adaptations would arrive in theaters soon. This interpretation of his 1983 novel about a doctor and his family moving into a house with a gnarly, haunted animal graveyard nearby comes from a promising director duo, and, judging from the first trailer, it should be pretty creepy. At the very least, let's hope they keep the Ramones penned theme song from the original. Why we're excited: David Harbour -- the father figure sheriff of Stranger Things -- is taking on the big red demon in a reimagining of Mike Mignola's classic comic series. This version will focus on the Nimue (a.k.a. The Queen of Blood) arc of the comics, which, among other things, involves Hellboy wielding Excalibur. 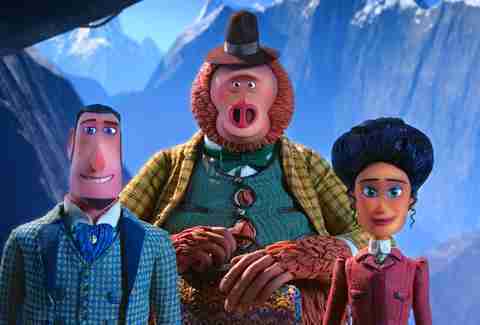 Why we're excited: The beloved animation studio Laika is back with their next film, about a pompous adventurer who is lured to the Pacific Northwest by the fabled Sasquatch himself. Turns out this "missing link" -- get it? -- actually wanted to be found, and is eager to find his cousin, the Yeti. As this odd couple travels to the Himalayas, they are pursued by some evil colonialists. Why we're excited: Given the ending of Avengers: Infinity War, it's very likely that most of the runtime of the newly titled Avengers: Endgame will be devoted to one long funeral sequence. No epic space-battles, quippy one-liners, or clever call-backs to previous movies -- just raw grief over the horrors Thanos unleashed at the end of the previous film. Or, you know, the remaining un-snapped-up Avengers will have to team up to rescue all their magically disappeared buddies. Honestly, it could go either way. Why we're excited: In this optimistic fantasy/romantic comedy that got a bunch of positive buzz out of SXSW, Charlize Theron plays an accomplished politician who taps a journalist named Fred Flarsky (Seth Rogen) to be her speechwriter as she makes a run for president. These two have a particular relationship: Theron's Charlotte Field used to babysit Fred way back in the day. Will this make their ensuing romance weird? Probably! 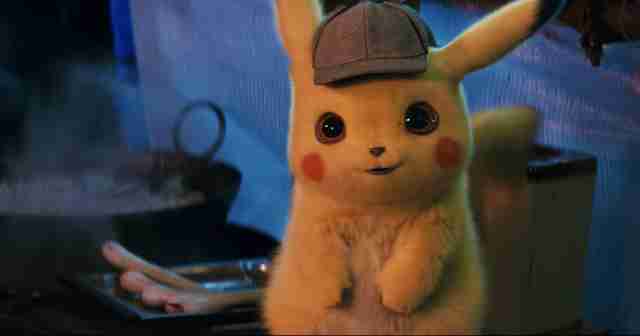 Why we're excited: If you weren't won over by the mere concept of a teeny little Pikachu solving crimes while wearing a Sherlock Holmes hat, the trailer will certainly do the trick. Ryan Reynolds voices the eponymous Pokémon, which is a little weird at first, but the rest of the movie looks so good it actually works. Why we're excited: Wick is back, yet again, except this time the intricate network of homeless agents and high-powered assassins and swanky hotels crisscrossing the globe won't be able to help him. 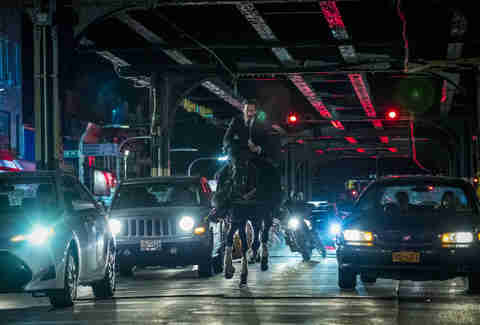 After the events of John Wick Chapter 2, during which Wick broke one of the cardinal rules of his business by killing a man inside a safe zone, he has a contract out on his life and will have to fight his way out of New York City all by himself. Why we're excited: Your tolerance for Disney's recent run of live-action remakes of beloved animated classics probably depends on your nostalgia for the source material and your love of weird cartoon-like CG creations. This guaranteed-to-be-swashbuckling remake of Aladdin, which features Will Smith in the role of the magical genie, will be directed by Guy Ritchie, so expect lots of flashy camera work and whirring visual effects. In addition to the old songs, composer Alan Menken reportedly also penned a couple new ones as well. Why we're excited: This science-fiction movie sounds like it should be a valuable addition to an underrated genre: the male space weepie. Brad Pitt stars as Army Corps engineer Roy McBride, a man on an obsessive quest to understand how and why his lost father's mission to Neptune failed. Who plays the dad? Tommy Lee Jones, baby! You're already tearing up. Why we're excited: Women finally have their Superbad equivalent in Wilde's directorial debut. The comedy follows who high school seniors Molly (Feldstein) and Amy (Dever), who have spent their entire adolescence studying. But on the last day of school before graduation they realize they didn't need to forgo fun in order to get into prestigious colleges, so they decide to break their self-imposed rules and party their hearts out. Their night of debauchery takes some hilarious detours. For instance, they end up at a murder mystery party presided over by the school's drama dorks and in an Uber driven by their principal. Why we're excited: The 2014 version of Godzilla, directed by Gareth Edwards, was shockingly, incredibly good, and paved the way for a new monster franchise based on classic kaiju properties. It's been a few years, but Godzilla is back, this time calling on his (hers? its?) monster allies to battle a creature that could end the world as we know it -- and judging from the trailer that was released during Comic Con this year, it's going to be beautiful. Why we're excited: After a pretty bleak entry into the X-Men movie universe with X-Men: Apocalypse (you know, the one where Oscar Isaac is purple and says "Learrrrrrrning" while touching a TV set), the franchise needs a little bit of galvanization. As a repeat of the complicated "Dark Phoenix" storyline that murdered X-Men: The Last Stand, there's no telling whether or not this movie will be any good, but it will certainly be a spectacle. Why we're excited: With Will Smith over at Disney playing the Genie in Aladdin, his old franchise is getting some new lifeblood. 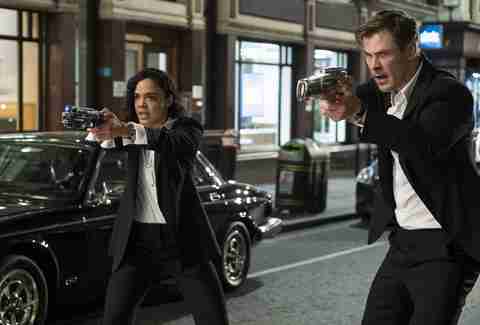 Chris Hemsworth and Tessa Thompson are the new duo protecting the galaxy, with Liam Neeson and Emma Thompson as their elder counterparts. The action largely moves to London, but those worms are still hanging around. Why we're excited: After a number of delays, Woody, Buzz and the rest of their plaything pals are returning to the screen with a new story, featuring a strange new character: Forky, a creation built out of a spork and some googly eyes. The toys all end up on a road trip that will likely make us contemplate the meaning of life. Why we're excited: Wait, you're saying, Tom Holland's Peter Parker probably didn't die in the first Infinity War? Yeah, no one's buying that, especially because he's back for this sequel. (Though maybe it's an Infinity War prequel? Hell, Marvel's done weirder things.) 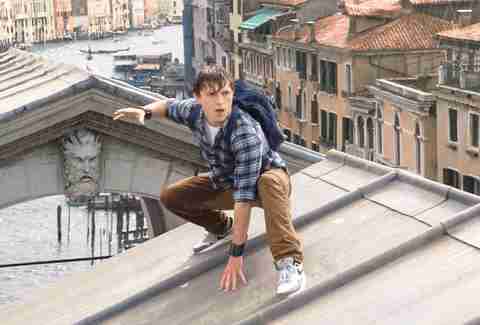 Anyway, Peter and his school friends are on vacation in Europe, where he probably has to perform some Spidey heroics. Why we're excited: The third Disney remake of an animated film to drop in 2019 is the highest profile. Can you roar Beyoncé? Jon Favreau -- who did the whole photorealistic CG animals thing in The Jungle Book -- helped the Mouse assemble a cast that almost makes this endeavor worthwhile. Donald Glover is Simba. Beyoncé is Nala. Billy Eichner is Timon. And, obviously, James Earl Jones is back as Mufasa, because why mess with something that good. Why we're excited: After a pair of Westerns, writer and director Quentin Tarantino returns to the confines of Los Angeles for this historical crime film set in 1969 in the midst of the Charles Manson murders. Leonardo DiCaprio stars as a washed-up TV actor who lives next door to actress Sharon Tate (Margot Robbie) and pals around with his stunt double (Brad Pitt). Because this is a Tarantino movie, the cast also includes Al Pacino, Bruce Dern, Damien Lewis, Scoot McNairy, Tim Roth, Michael Madsen, Kurt Russell, Timothy Olyphant, Dakota Fanning, Luke Perry, Emile Hirsch, Lena Dunham, and probably a handful of other actors that will make you go "Hey! That person is in this!" Why we're excited: Was this the movie that killed the bro-ship between Dwayne Johnson and his Fast & Furious co-star Vin Diesel? There has certainly been plenty of behind-the-scenes drama in the F&F crew, not least of which are Tyrese Gibson's dramatic subtweets of The Rock, accusing him of tearing this family apart, but let's be real: a movie starring Johnson's villain-turned-hero Luke Hobbs teaming up with (or facing off against?) Jason Statham's villain-turned-baby-protecting-hero Deckard Shaw is a can't-miss. Why we're excited: Originally scheduled for an April 2018 release date, this horror-tinged X-Men spin-off starring Anya Taylor-Joy (The Witch) and Maisie Williams (Game of Thrones) as young mutants figuring out their new abilities underwent reshoots and appeared to be caught in corporate limbo following the sale of 20th Century Fox to Disney. Is that a bad sign? Maybe! But maybe this will be a case where the tinkering actually improves the movie. Why we're excited: Maria Semple's delightful novel about an eccentric architect, leaving her teenage daughter to track her down, gets adapted by Richard Linklater. Cate Blanchett plays the Bernadette of the title. Why we're excited: While the first installment of IT was a box office, critical, and spooky success, Chapter 2 had a big task ahead of it: Finding the right actors to embody the children of Derry terrorized by Pennywise. Luckily, the cast assembled is somewhat uncanny. At this point we just assume Sophia Lillis is going to grow up into Jessica Chastain. Anyway, the Oscar nominee -- along with the likes of James McAvoy and Bill Hader -- are all set to perform the "The Ritual of Chüd." Why we're excited: How many portrayals of the Joker does the universe really need? After Suicide Squad, which found Jared Leto putting his tatooed spin on the comic book villain, another star vehicle for the killer clown doesn't feel terribly urgent, but we're trying to keep an open mind. 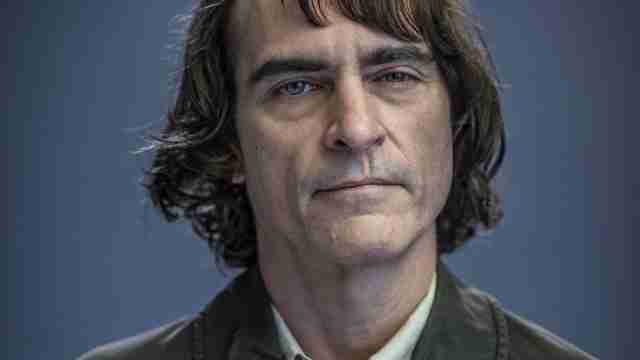 With The Hangover filmmaker Todd Phillips directing this Scorsese-inspired riff on the character starring Joaquin Phoenix, you can bet it'll be "twisted." Why we're excited: Ang Lee is back in 2019 with a movie that is pretty much Looper, if Looper starred Will Smith. Henry Brogen is an assassin who wants to retire and start a new life, but he finds himself accosted at every turn by a younger, stronger clone of himself. We don't know too much else about it, but it sounds great, and it just goes to show: you can check out from the assassin business anytime you like, but you can never leave. Cast: Ansel Elgort, Nicole Kidman, Jeffrey Wright, Sarah Paulson. Why we're excited: Sure, there's still no movie adaptation of The Secret History -- (Can we have one? Please?) -- but another Donna Tartt novel is getting a big screen adaptation in The Goldfinch. The decades-spanning story follows a young man named Theodore Decker from boyhood. As a child he was at the Metropolitan Museum of Art during a terrorist attack, in the chaos he takes a 17th Century dutch painting titled, of course, "The Goldfinch." In the film version, directed by John Crowley, Ansel Elgort plays Theodore, and he's joined by Nicole Kidman, Jeffrey Wright, and Sarah Paulson. Why we're excited: Dun-dun-dun-dun-dun! That's the sound of the score for James Cameron's Terminator series rising in the background, signaling that the producers behind this franchise are going to take another shot at rebooting it in a satisfactory way after the super-messy Terminator: Salvation in 2009 and the nearly incomprehensible Terminator: Genisys in 2015. 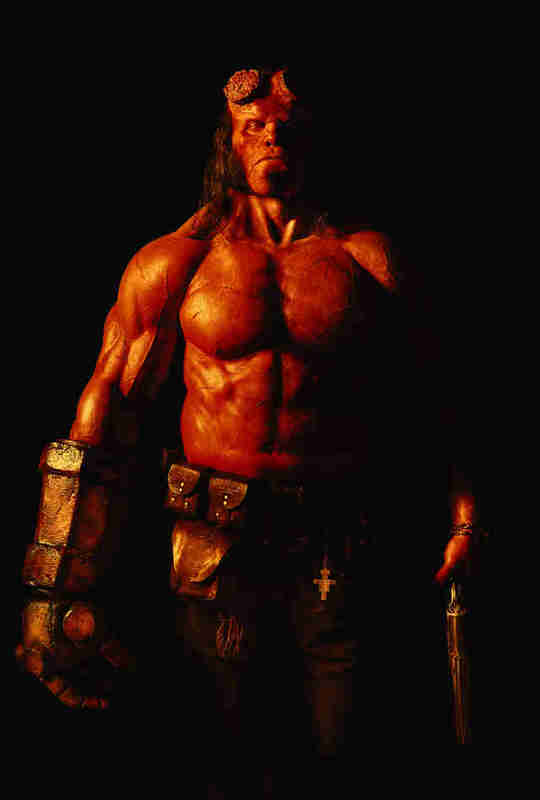 This still untitled entry in the series will feature Arnold Schwarzenegger, Linda Hamilton, and Mackenzie Davis in the main roles, while Deadpool director Tim Miller steps behind the camera and Cameron returns in a producer role. Why we're excited: The most ludicrous Broadway musical ever in existence arrives in inexplicable movie form. A punchline since the 1980s, Andrew Lloyd Webber's Cats is based on an intentionally nonsensical book of T.S. Eliot poems. How on Earth it gets transferred to cinema remains to be seen -- will there be people in cat costumes? Animation? 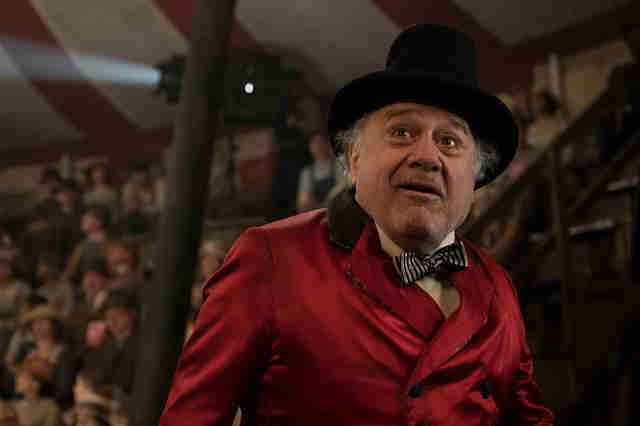 -- but Les Misérables director Tom Hooper thinks he has a strategy. He tapped a bunch of stars to be his Jellicles (Google it) including Jennifer Hudson, Idris Elba, Ian McKellen, Judi Dench, and the most famous cat lady ever, Taylor Swift. 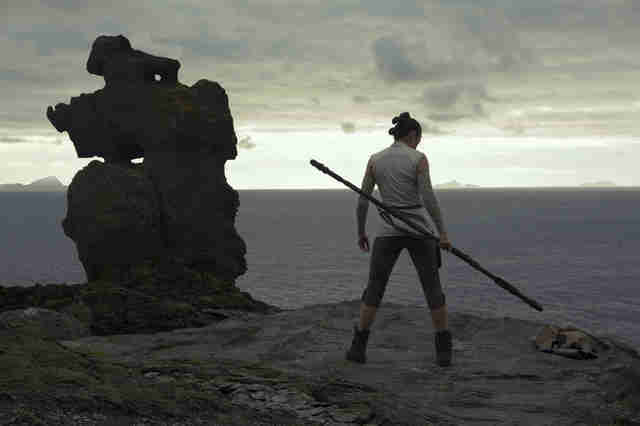 Why we're excited: As the culmination of the third Star Wars film trilogy, the still-untitled Episode IX will probably be 2019's most anticipated movie of the year. Whether you loved The Last Jedi or hated it, the misadventures of Rey, Finn, and Poe Dameron are going to be the only thing anyone wants to talk about for a good portion of next year, so you might as well mark your calendar to pre-order tickets now. Why we're excited: Greta Gerwig reteams with Saoirse Ronan and Timothée Chalamet for her first post-Lady Bird film: An interpretation of the oft-interpreted Little Women, also featuring Emma Watson, The Little Drummer Girl's Florence Pugh, and Sharp Objects' Eliza Scanlen as the rest of the March sisters. It's a top-notch row of young actors expert at breaking your heart.